Top 3 DIY Creative Valentine Gifts for him ideas! with moments of our love. With Valentines’ Weekend around the corner and the season of love already occupying us with the fresh and blissful showers of happiness, affection and beauty, I have something for my readers. We all have someone to dedicate our Valentines’ day to, be it, that someone special, our friends or family, isn’t it? So what can be that special thing we can do for them this Valentine? Well, I do have an answer! We all would agree with this fact that our special people need our support and appreciation forever and in fact, there are days when we won’t be with them always, but then there could be a way through which our voice, our care could be with them, somehow, isn’t it? The most beautiful things in this world cannot be seen or even touched, they must be felt at heart. So, after long hours of finding something beautiful, I ended up on ‘The Happy Jar’ idea. It is one of the best valentine gift ideas. 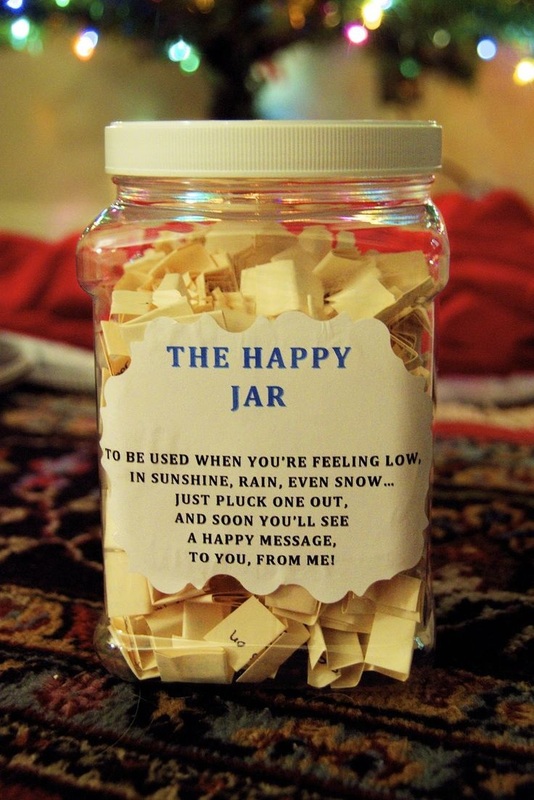 So the concept is to fill the jar with small notes of appreciation, care and love. But, why to restrict it to just this? So, I decided to add small prints of our old pictures, funny jokes, newspaper comic cut-outs and more. Gifting this personalized jar of happiness is to lift the spirit of the reader or make them smile. And as compared to those e-notes of love and care, the happy jar adds a human touch and feel. I found this idea amazing and one-of-kind. It doesn’t cost much and takes very less time to plan and execute the same. And the result is long-lasting, affectionate and worthy. 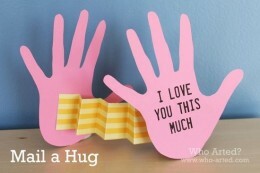 Another such idea is the ‘I Love You This Much card’. It is simple to make and very adorable. Just get some nice scrapbook paper and trace around your hands to make a creative card which can make our someone special’s heart skip a beat. 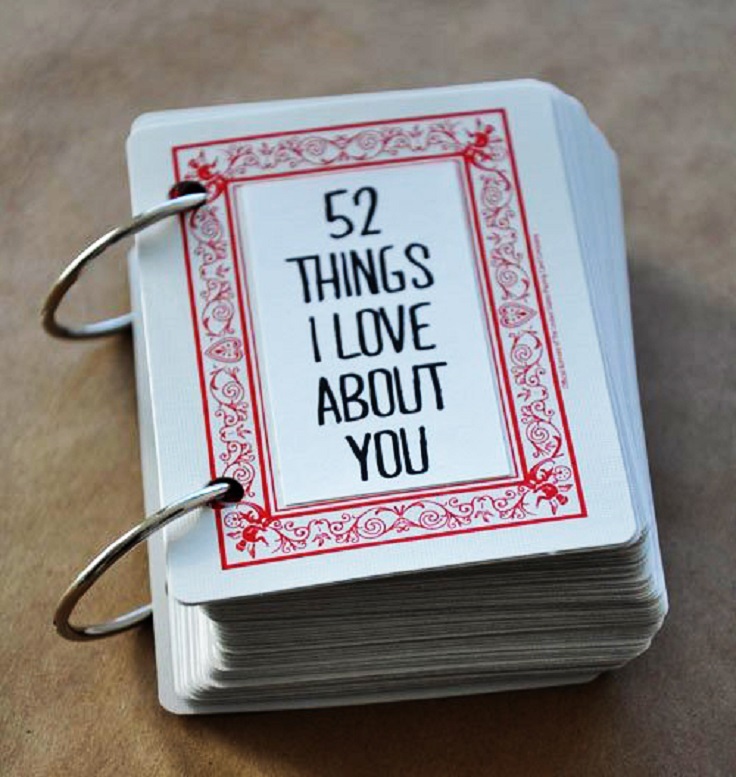 ’52 things I love about you Deck of Cards’ is another such beautiful idea to make something meaningful and everlasting for our special ones. We just need to decorate the top card any way we’d like and write about the best things which we adore about our loved ones and then punch them together with a beautiful crochet string or ribbon. I believe the above #IGPValentinesDay ideas were creative enough to try out for our special ones and make their valentine’s day, more special and amazing. Nice and creative gifting ideas. I like the Happy Jar concept. Good one. Previous Previous post: #Taandav Movie Review and more! Next Next post: #ShortcutSafaari- a unique blogging experience!